Journey through time, hear amazing stories, and discover the secrets behind the Museum’s most fascinating objects. Take The Highlights Tour for a guided look at NHMU and the collections. Participate in a totally unique experience and learn the stories the exhibits don’t tell. 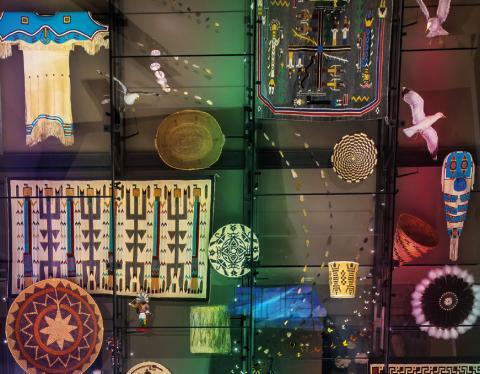 An expert guide will weave you through 42,000 square feet of spectacular exhibits to share with you the most exciting objects the Museum has on display. They will reveal all their insider knowledge, so captivating it’s guaranteed to spark a new curiosity in this place! Utah is an amazing place, and this tour will show you why. Tours are $2. Tickets are on sale at the Admissions Desk and Museum Store. Tours run approximately 1 hour. Audio devices are available for guests who are hard of hearing. Group tours available upon request. Tours are subject to change. Tours are $2 per person. Children under 12 are free. Museum Members are free.